"Neato Robotics Botvac D5 WiFi Robotic Vacuum - 945-0175 Wi-Fi Robot Vacuum"
The Neato Robotics Botvac D5 Robot Vacuum comes with a WiFi Connectivity and has a patented laser-guided technology that scans and maps the room and clean it automatically by moving from room to room. The vacuum cleaner has a ultra performance filter that traps more fine dust and allergens. It Contains a combo brush and the new ultra performance filter which is easy to pop out and includes extra filter screen making it easier to clean. 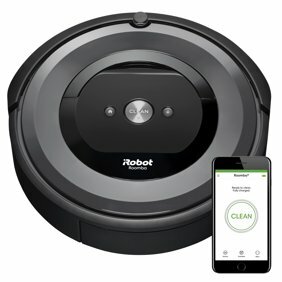 This robot vacuum cleaner allows to schedule daily cleanings and comes with a push button for instant multi-room or spot cleaning. It automatically goes back to charging base, then returns to where it left off. The Neato D is very smooth in its operation as well as cleanliness. Still not able to connect by iPhone.